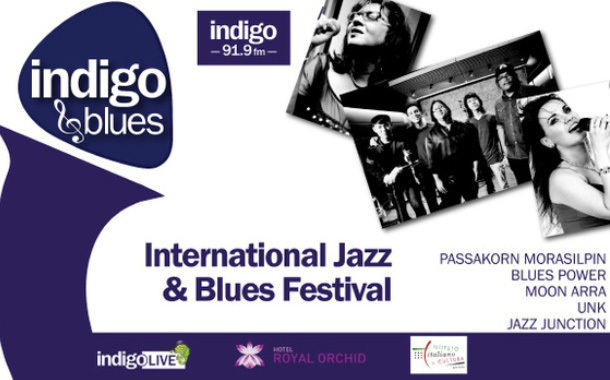 Bangalore : The Bangalore based FM Station Indigo 91.9 FM has organised the fourth edition of its Jazz and Blues music festival Indigo and Blues last Sunday 28th August at Bangalore. The one-day event kick started with a performance by local band By2Blues, followed by Blues Power with Goan icon Herman Abreo on the vocals. Four-member band MoonArra performed their Indian Classical, Jazz and World Fusion. They were also the ambassadors of culture bringing the message of peace and harmony, goodwill and tolerance. Unk’s Radha Thomas Ensemble played contemporary, cutting-edge jazz and world music and Jazz Junction featured Russian singer Olga Andreeva, Latin Grammy winning Italian drummer Matteo, Gerard Machado, Jason Quadro andColin D`Cruz. The evening culminated with a performance by the headlining act, Thailand born artist Passakorn Morasilpin and his quintet who played his popular Jazz-Rock combinations in traditional Thai style. The Indigo Jazz and Blues Festival was introduced seven years ago by the station and over the years, it has presented more than 30 International and Indian artists, showcasing music which has deep cultural roots, filled with passion and soul.